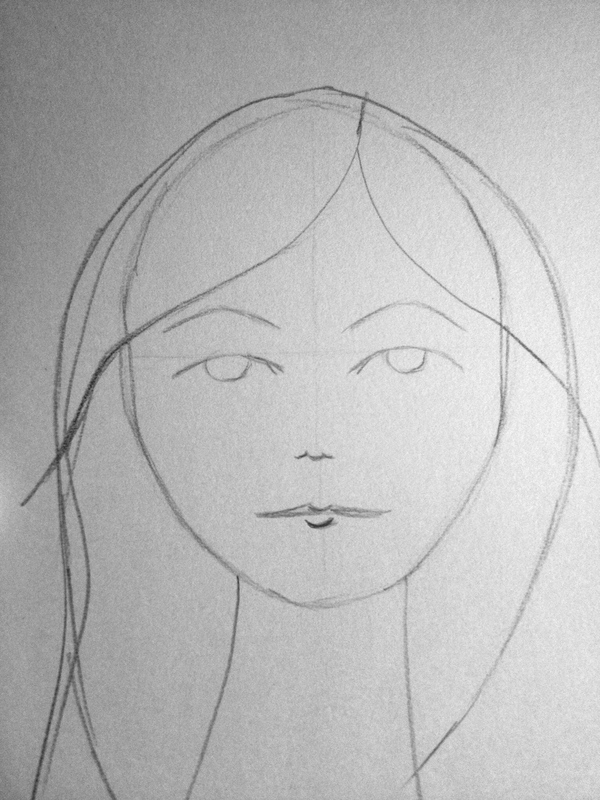 Jane Davenport – Supplies Me: This one got me fired up about drawing faces (early classwork below). It has a lot of supplies-focused content, but also some great instruction on portrait painting and it’s listed as a good entry point for Jane’s classes. Jodi Ohl – Behind You: This is a short, technique-based class and I’m embarrassed to admit I got distracted and had forgotten it. I adore Jodi’s style – bright, bright colors and simple shapes and symbols. Definitely plan to revisit this one! Creative Kismet – Expressions: This is another portrait class and I learned a LOT, but pooped out on the last week. I like drawing faces but it takes time and practice and I’m a very instant-gratification type of artist. So, practice still needed, but below is one of my favorites from the class (love that black-background peeking through). Misty Mawn’s Face-to-Face: I just adore Misty – had the good fortune to take an in-person class with her and Katie Kendrick last spring. Misty scratched the surface of portrait drawing in that class and I’ve wanted to explore further ever since, so when I saw this one opening up, I was excited to jump in. Unfortunately I’ve barely scratched the surface. While there is some extremely good work coming out of this class, I have nothing I’m willing to show. Ah, comparison is a thief, isn’t it?! 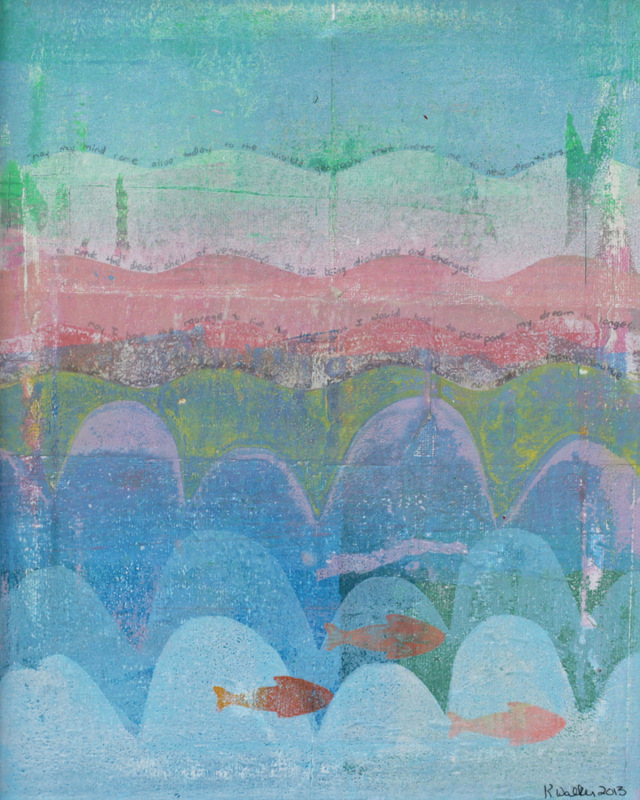 Carla Sonheim’s Gelli® Plate Printmaking: I devoured this one! Carla is a fantastic teacher and her videos are top-notch. The class is absolutely full of yumminess and has given me some great new tools for my art arsenal – below is a piece inspired by this wonderful class. Mary Ann Moss – Sewn: Just signed up for this one and it doesn’t start until July 4, so hoping I can get caught up on the rest of my e-homework before jumping into pattern exploration with MAM. Have LOVED every class she has taught and have so admired her pattern studies over the last year or so. I’m really looking forward to this as purely playtime! Last, but not least, Andrea Scher – Start a Foolish Project: I’m still wavering on signing up for this one and, judging from my list above, may need to work on finishing some other stuff before I jump into something completely new! But it really is tickling me and, being a Mondo Beyondo alum, I have no doubt it will be full to overflowing with goodness! I think one of the biggest struggles I have as an artist is focusing on my actual work… soooo many distractions – online and off! 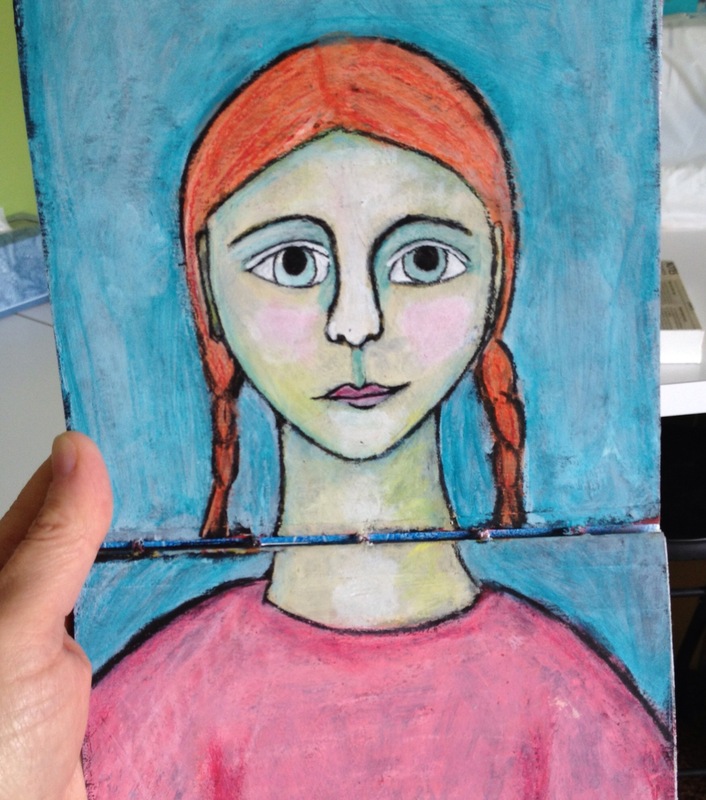 I’m trying to develop and maintain some practices to help me with this – one is The Artist’s Way. I’ve had the book for years and have read the introductory pages over and over, but have never really been able to sink into it. Last month, my daughter and I made a pact to work through it and I’m proud to say I have now advanced to Chapter 1!! Julia Cameron is world-renowned for helping artists to unblock and focus on what they do best. I love seeing what other bloggers are learning. I’m the same way. I have so many classes going on – some since they are ongoing or forever I’ve kind of put them on the side. But always looking for new inspiration.